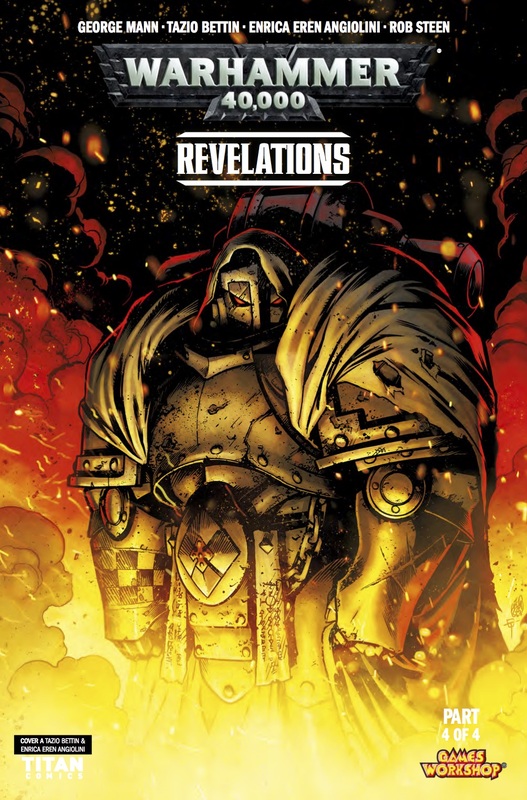 The Fellowship has obtained a first look at WARHAMMER 40,000: REVELATIONS #8 from Titan Comics. 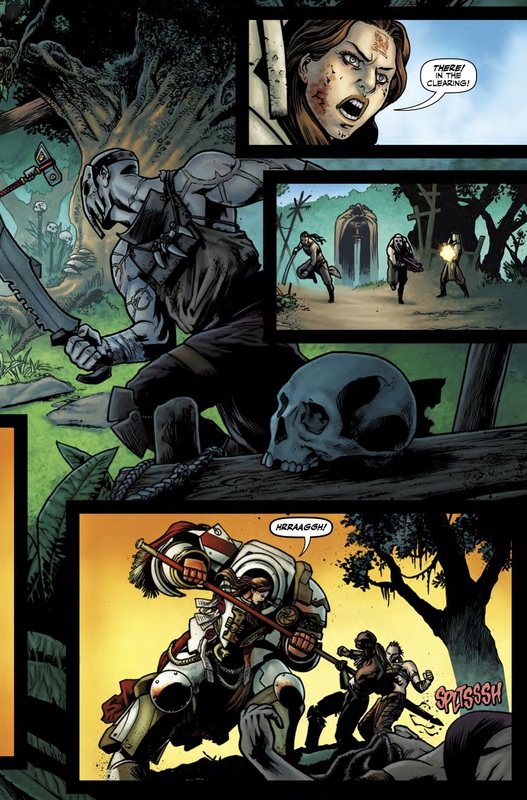 The issue, which hits stores July 12th, is written by George Mann with art by Tazio Bettin & Enrica Eren Angiolini. 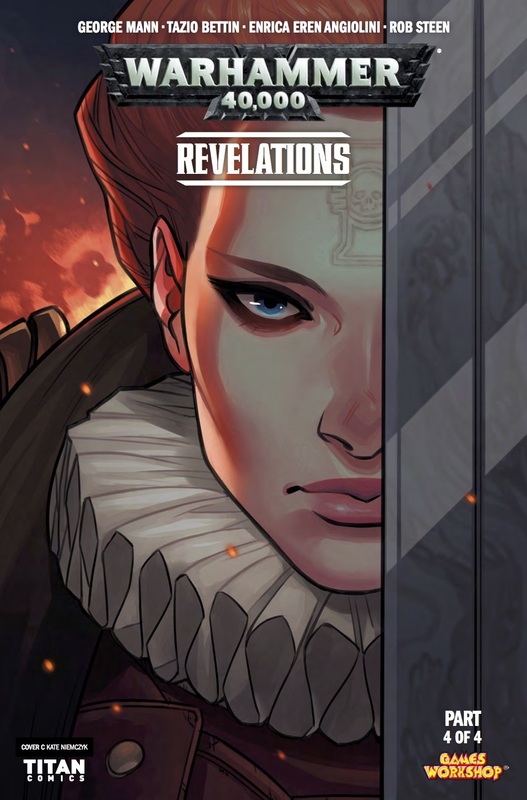 The covers are by Tazio Bettin & Enrica Eren Angiolini, Connor Magill, ​​and Kate Niemczyk. 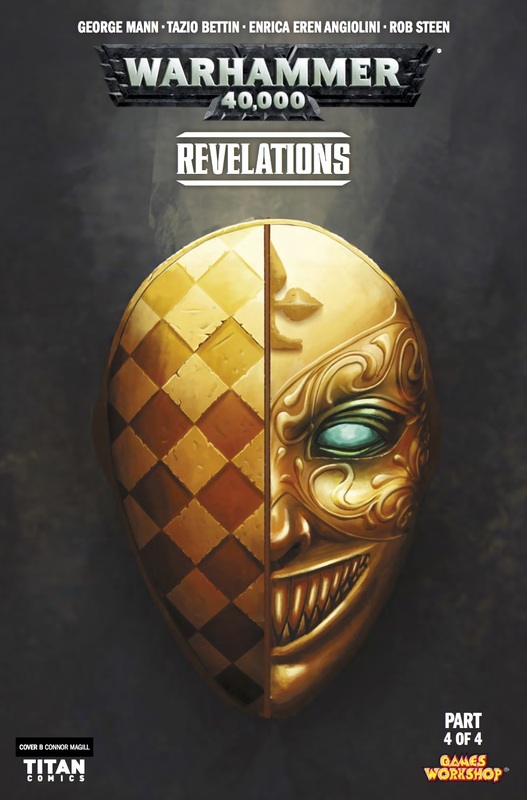 Aboard the space hulk Hyberian, where time and causality have been​​ warped by Chaos, Baltus discovered the truth behind the​ ​Dark Angels​ ​mission! 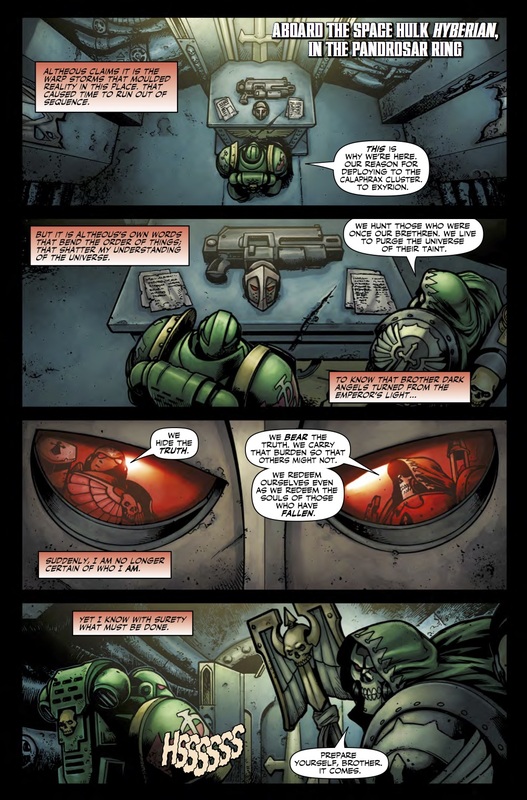 During the Horus Heresy, a rift formed in the ranks of the Dark Angels – and those who turned against the​ ​Emperor became known as the Fallen. To seek repentance and prove their loyalty to the Emperor, the true Dark Angels must​ ​eliminate their kin. 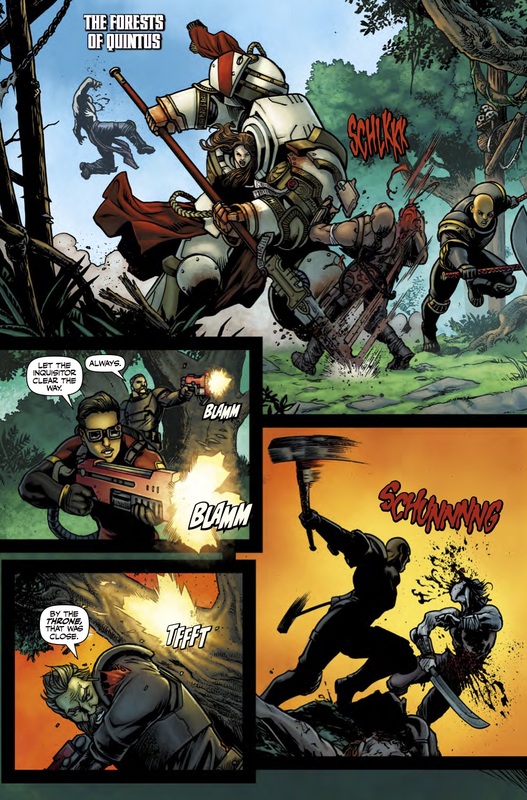 More, there is evidence that one of the Fallen has been orchestrating all of the events in the Calaphrax​ ​Cluster to date: the same dark-helmed Space Marine Baltus witnessed after the battle of Exyrion. 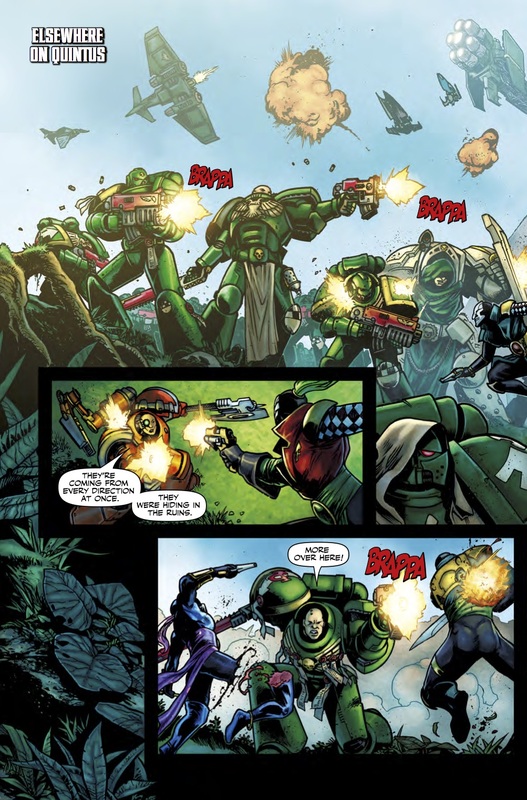 Meanwhile, on Quintus,​ ​​Sabbathiel and her crew discovered ancient ruins that point towards the Dark Angels’ heretical history – and a battle has​ ​erupted between Dark Angels, newly-awoken Necrons and Eldar Harlequins! War is here!